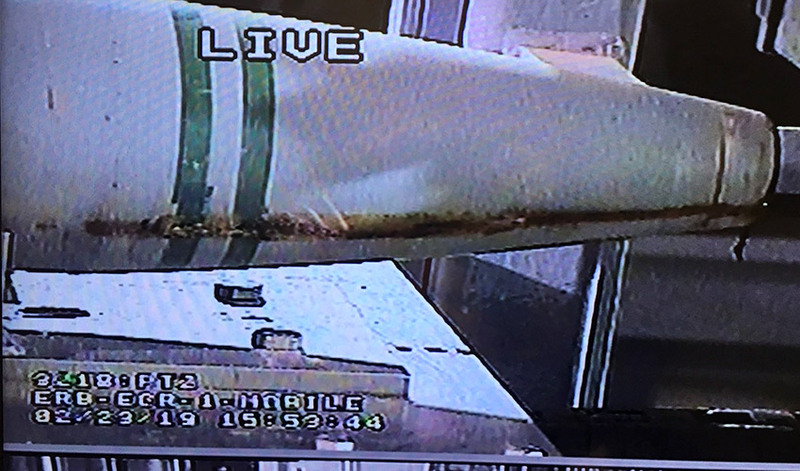 A still from closed-circuit video shows evidence of leaking liquid from a 155mm chemical projectile being disassembled for destruction at the Pueblo Chemical Agent-Destruction Pilot Plant. 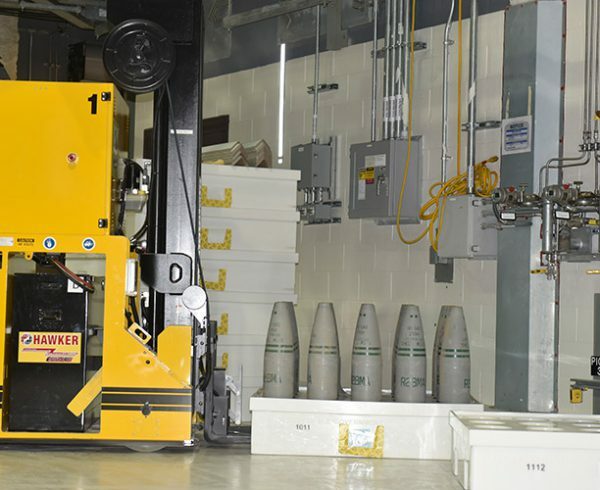 Cameras help workers catch issues with aging munitions before mustard agent can spread through other areas the plant and delay processing for long. 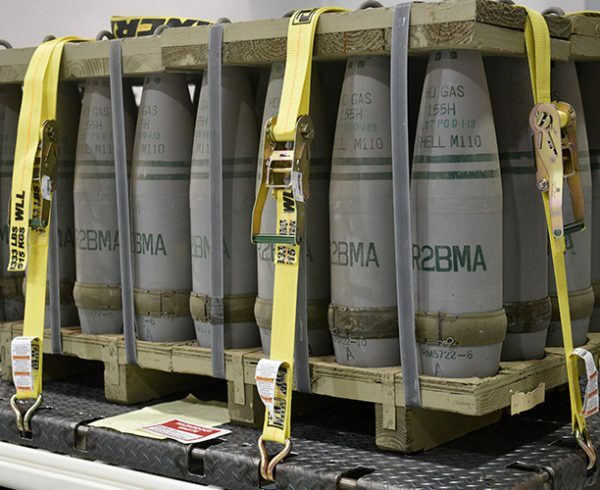 A chemical munition began to leak while being prepared for destruction in February and was quickly identified and contained before mustard agent could affect a wide area of the Pueblo Chemical Agent-Destruction Pilot Plant. “Thanks to alert personnel following established procedures, and valuable lessons learned from previous incidents, downtime was minimal,” said Walton Levi, acting site project manager, PCAPP. 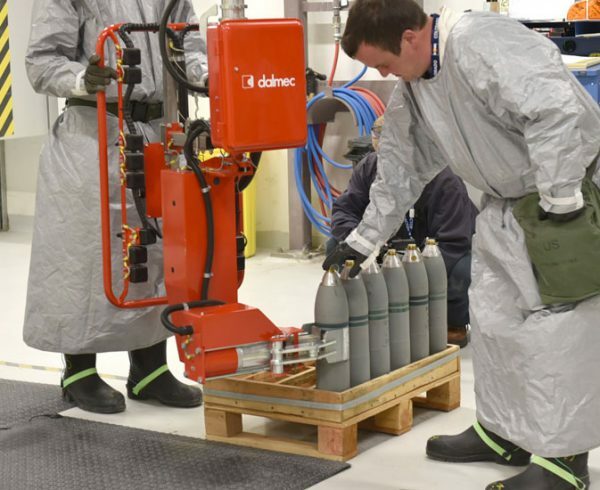 When a Control Room Operator noticed the presence of a liquid at the Nose Closure Removal Station, his quick action stopped the enhanced reconfiguration process in the Explosive Containment Room, preventing the spread of mustard agent contamination beyond that area to any other part of the plant. 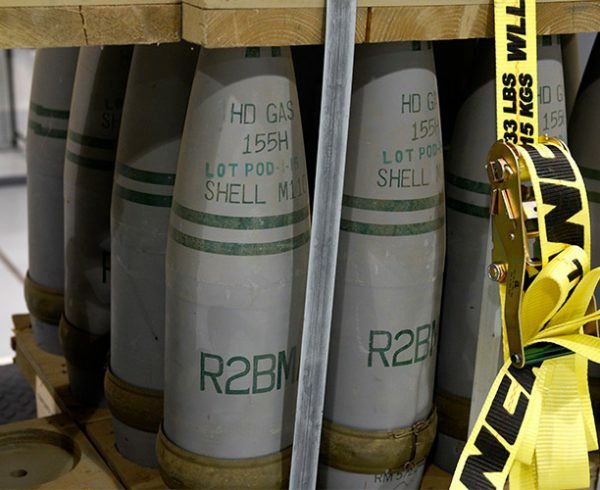 “Had it progressed into the munitions or parts monitoring enclosures, we would have had an exponentially larger cleanup effort,” said Brian Ramdwar, Bechtel Pueblo Team deputy plant manager, PCAPP. 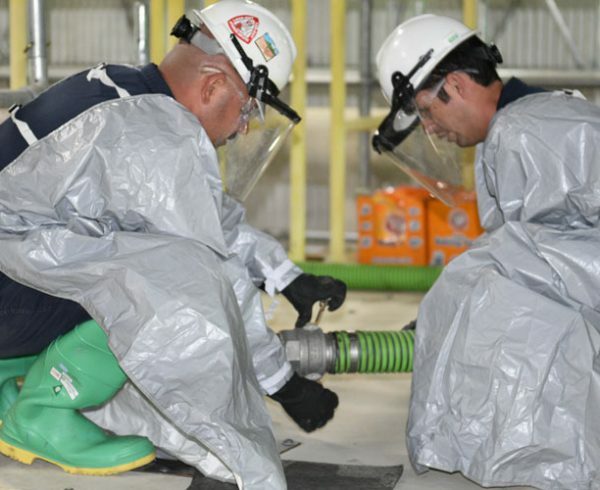 Air monitoring systems then also detected the presence of the chemical agent, and alarms notified the personnel, who reacted quickly with a recovery plan to return the site to working order. The alert worker noticing the liquid before air monitors sounded added to worker safety and allowed recovery to begin faster. The leaking munition, a 155mm projectile being reconfigured for agent destruction, was securely packed away for later destruction. 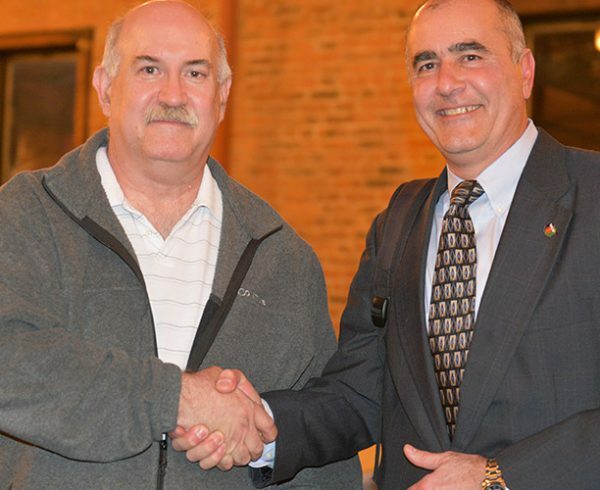 Leaks are a possibility with an aging stockpile, therefore plant workers continually train to contain the agent quickly, Ramdwar said.